60310 is rated 5.0 out of 5 by 2. Rated 5 out of 5 by JJH3 from 68 chevelle ss396 from powerglide to TH400 Went in easy, had to replace the drive shaft due to the length difference of the TH400 over the PG but no big deal. Shifts smooth with no issues, love it! The torque converter you buy will be the key. It will determine what RPM the engine will be when the car launches. A shift kit will make all of the shifts between gears hard. Have 325 hp chevelle and going to put 3.73 gears rear 12 bolt. Good transmission for this application? Yes, this will be a good option for your application. I need a transmission that supports 500+ horse power engine. What would work best with a 383 Stroker Engine? I have Chevy suburban 86, engine 350. What transmission recommended.? 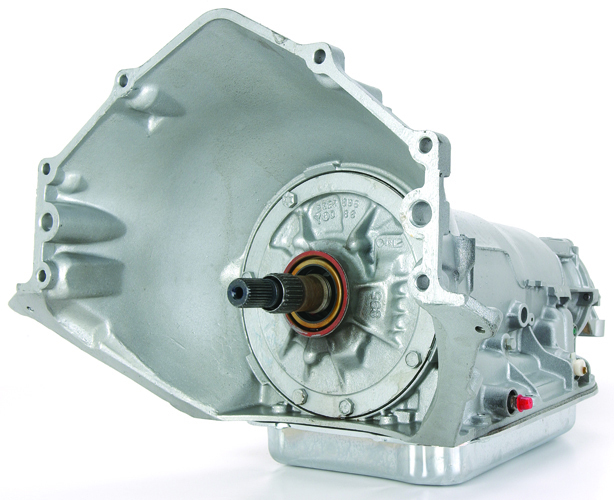 This is a standard 3 speed TH400 transmission with no overdrive. It will work in your S10, you may need to modify the crossmember. You will need to verify the length of the original transmission. This is a 4&quot; tailshaft Turbo 400 transmission.